Wii remotes and Nunchucks aren’t ideal devices to play games with, no less games within the fighting genre. 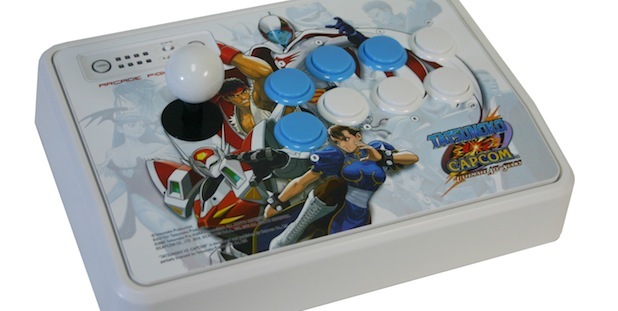 So, we weren’t that surprised this afternoon when Mad Catz revealed that its line of Tatsunoko vs. Capcom: Ultimate All-Stars FightSticks are slated to ship with Capcom’s upcoming game. But tentative assurance is better than no assurance. We expect to be able to test drive one of these babies at CES this week, so look forward to some possible impressions. While you wait, though, we highly suggest you retrieve that Street Fighter IV stick from the closet and wiggle the stick. Yeah, that’s probably what this one is like.